"He's never been afraid to say, what's on his mind at any given time of day, because he's a renegade!" The Renegade Predator is a young, brash New Blood that wants his first Xeno kill! Yes, this Predator is dope. He is sharp looking, well made, and comes with some very cool weapons. NECA is now at Series 13 of the amazing Predator line. There are some specific things I noticed with this Predator right from the jump, and I can't wait to talk about them! Sit back, read, and imagine what the Renegade will look like in your jungle! The front of the packaging for the Renegade is the same as the other Kenner-type Predators. It's vibrant colors, and cool art always stands out on these figures. The description of the Renegade is a very nice, brief read. It gives you that feeling of being in his shoes and getting a taste of what the purpose is of the Renegade. First, let me say that the Renegade is the best Predator made to date. I am not basing this off of his look or his weapons but the actual movement and paint. His joints are crisp; the fingers on his hands move, bend, and hold the weapons perfectly. I moved his head, joints, hands, and fingers and it all felt great. I haven't had issues with Predators in the past, but the difference with this one is it feels like a $60 figure. He's quality product and super fun. So fun, in fact, that I had to play with him a ton as soon as I opened him! So the weapons on the Renegade aren't that great……SIKE! First of all, Renegade gets to have his own plasma gun! What other predator comes with any type of gun? Not only that but the gun is made well and fits in his hand perfectly! He also has wrist blades and an awesome dual-edged weapon. His weapons are very unique which I think brings this Predator to another level. When I was taking pictures with the Renegade I had a blast posing him in all kinds of different positions with the weapons...it was a must! Watch the Renegade try to get his first XENO kill! The Renegade Predator is dope and a must buy! His color scheme is awesome, weapons are well made, and he just looks like a Xeno killer! Make sure to pick him up ASAP! First off, I have never been much of a bobblehead guy. They are cool, but they are typically just not my thing. 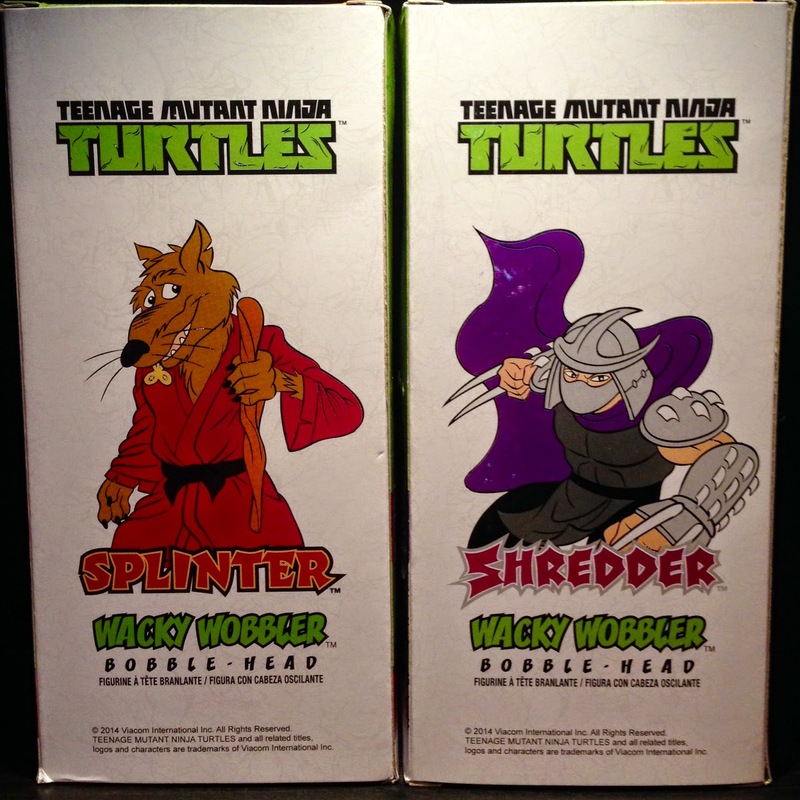 With that said, I AM a HUGE TMNT guy! When I first saw these I knew I was going to be getting them. In fact, I pre-ordered them all the way back in May of last year. 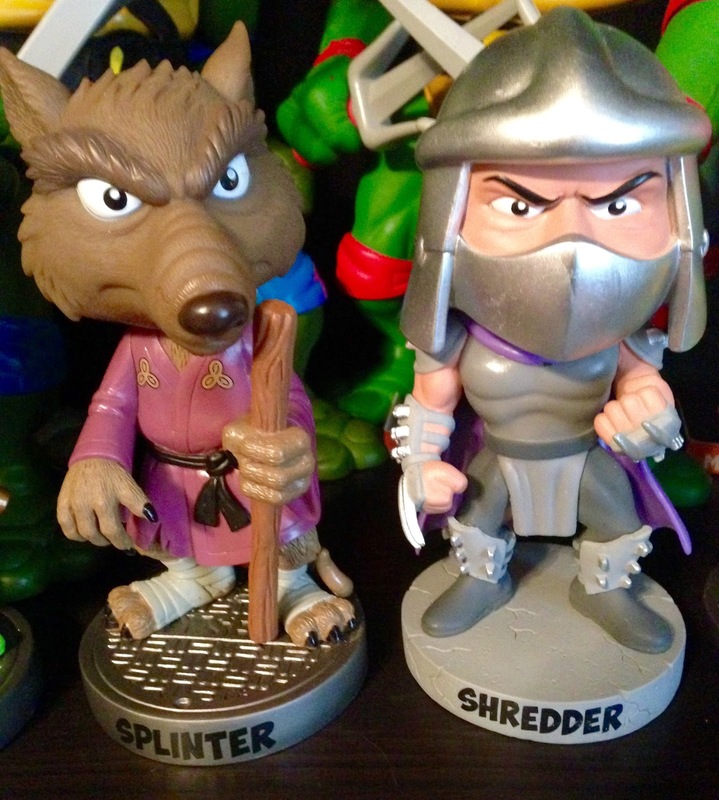 I only have three other bobbleheads in total, and they are all ones of some of my favorite characters (two different Wolverines and an Invasion USA version of Chuck Norris). 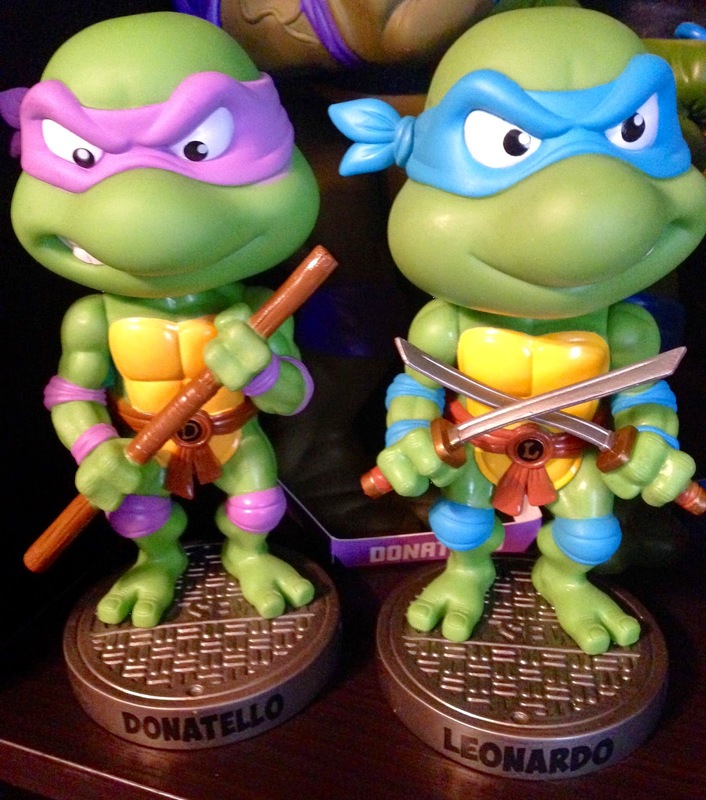 These guys were just too awesome for me to pass up though, so I a made an exception to my bobblehead rule. The colors on these guys really pop. I really love the nostalgic feeling they bring to me. 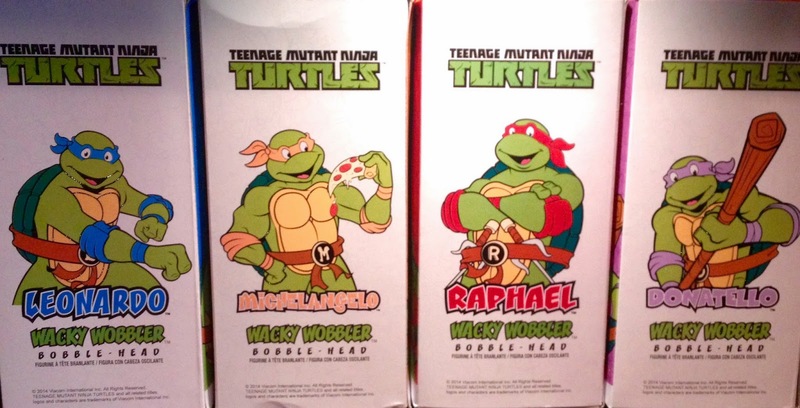 These capture exactly what I think of when I think about how I envisioned TMNT's when I was a little kid. 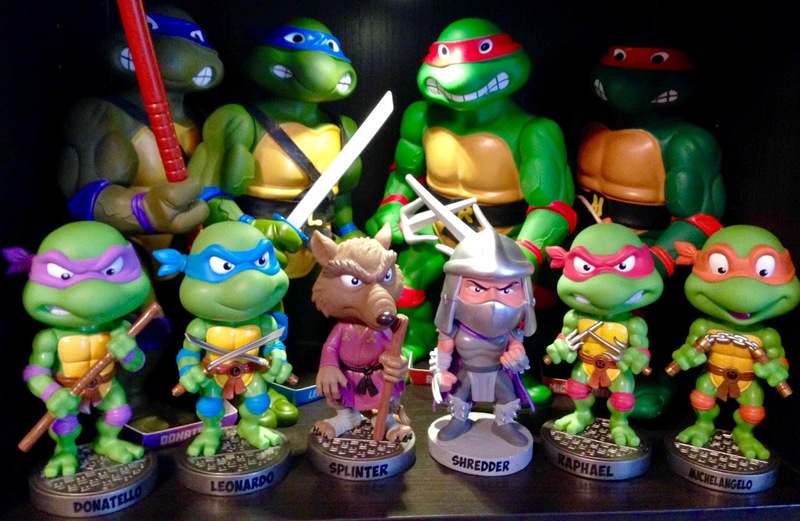 They fit in with the rest of my TMNT display just perfectly, and add a little variation compared to the retro figures, vehicles, and playsets. I really appreciate the fact that Funko put extra effort into the packaging. The packaging art for each characters is spot on. It is like it's right from the cartoon. 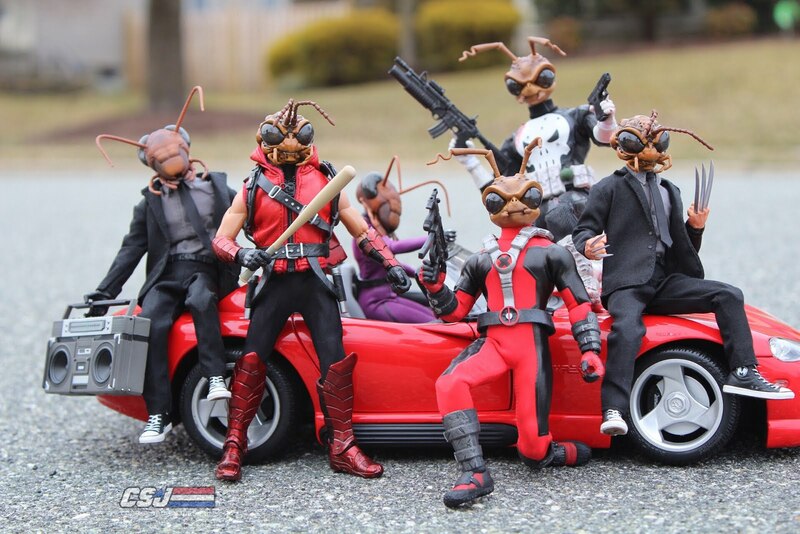 Since bobbleheads don't come with any accessories and don't have points of articulation there isn't much more to add. 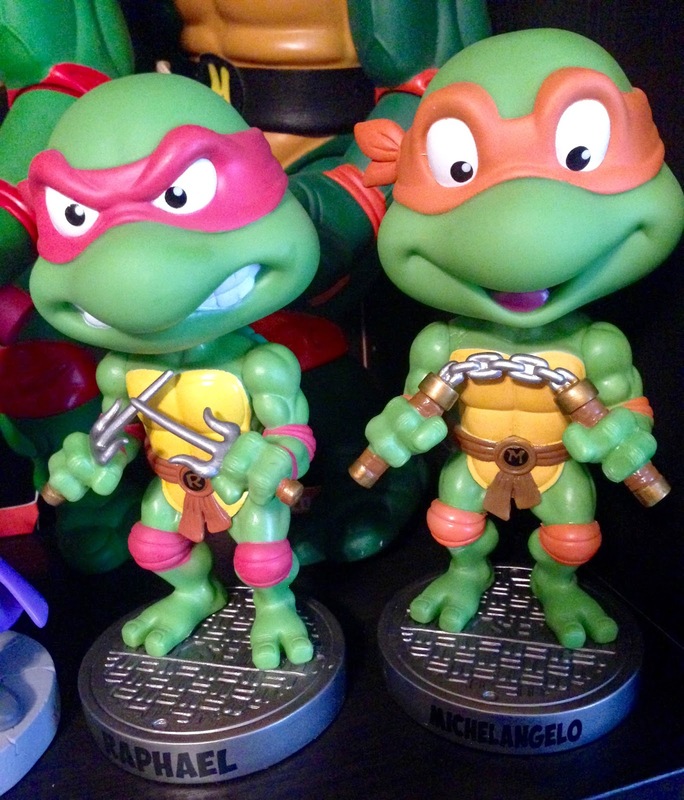 I will say this though, if you are a TMNT collector you will really enjoy these guys. They're fun and a nice change from what I usually collect.